Tired of that chipped tooth getting in the way of your perfect smile? If so then our dentists are here to help you! Dental veneers are a great way to repair chipped or misaligned teeth and they can even be used to cover badly stained teeth or fix an uneven smile. Veneers are made of porcelain and are custom-fitted to your teeth for maximum comfort. Q. 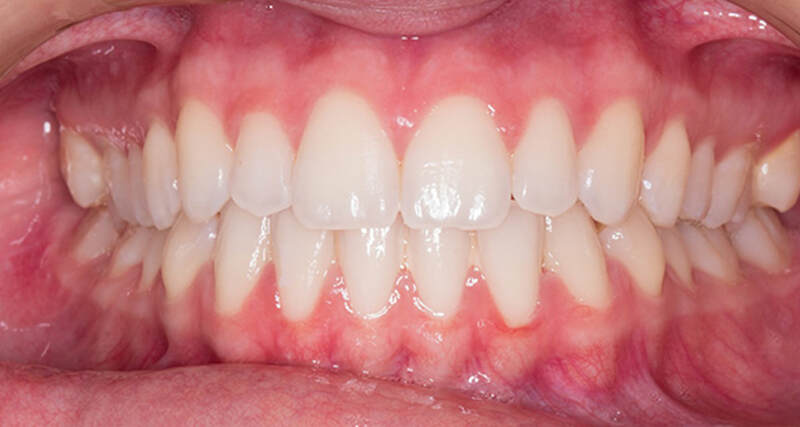 Do I need to brush or floss if I have veneers? A. Yes, just like your natural teeth. Veneers need to be brushed and flossed on a daily basis to ensure that they are well maintained. Flossing and brushing on a daily basis will also improve the overall health of your entire mouth. Q. Are veneers covered under my dental plan? A. Every dental plan is a little bit different. We recommend that you check with your insurance provider to determine if veneers are covered under your plan before visiting one of our dentists. Once you’ve determined this then feel free to give our clinic a call and book an appointment with one of the best dentists in St Catharines Ontario. ​Q. If I have veneers can they be removed afterwards? A. No, you cannot remove them after the treatment because part of your enamel has been removed in the process. If you have a chipped front tooth or damaged front teeth then you have the option of getting a veneer instead of a front tooth filling. If you’re strictly trying to improve the look and appearance of your smile and teeth then dental veneers are definitely a great selection. Regardless of why you require veneers there is one thing that will be consistent and that is that the qualified dentists at Lakeport Dental will be able to make fix the appearance of your teeth and help you reclaim your incredible smile. Do you have a question that is not listed above? If you do then please reach out to use by either giving us a call or by completing the contact form on this page. We are an experienced group of professionals who can help answer all of your dental questions and/or concerns. You can also find more out about dental crowns as we have a lot of experience with them. Looking for some additional Oral Health Care Tips or just some more information on the subject? If thats the case then take a minute to view our blog for more information regarding oral health and other dentistry related topics. Our entire website is full of valuable dentistry information. Take a look at our services page as well to see a great deal more of the professional dental services that we provide to our patients here at Lakeport Dental. We look forward to helping you with all of your dental needs.